These are real targets, worthy of our problem-solving skills, ripe for our intervention. Yet those who have the vision to rise above national and political boundaries still have no symbol to rally under. 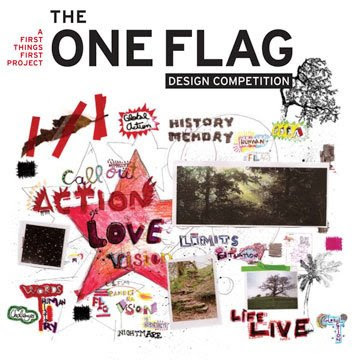 We invite you to create a flag – free from language and well-worn clichés – that embodies the idea of global citizenship. A symbol that triggers pride and cohesion, whether worn on a backpack, displayed on a door, or flown on a flagpole. A symbol for anyone to declare membership in a growing and vital human cooperative. We invite you to prove that design has a real role to play in the fate of our world. and supporting design publications. The winning flag will go into production, ready for flying by the patriotic citizens of Earth. Deadline for entries is December 1, 2008. Judges: Jonathan Barnbrook, Michael Bierut, Vince Frost, Steven Heller, Kalle Lasn, Rick Poynor, Dmitri Siegel.